There will be plenty of fun activities and social gatherings for all ages during Mirror Worlds Sydney. Get ready for 12 days of action-packed fun! What better way to kick off the event than with the start of the Sydney to Hobart! Watch live on Boxing Day 2018 the start of this iconic yacht race from a fabulous Sydney Harbor viewing point. Join your fellow Mirror Worlds sailors to view the race at Steele Point, go swimming at Nielsen Park and walk along Hermitage Foreshore Track. Overlooking the magnificent Sydney Harbour, Taronga Zoo is home to over 4,000 animals, including Australian native wildlife, as well as rare and endangered exotic animals. Take the ferry with your fellow Mirror Worlds sailors for a fun and furry family outing. 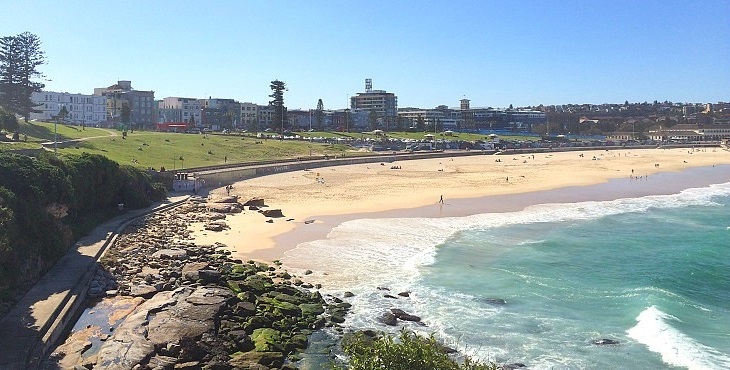 Visit Manly Beach where you’ll find plenty of things to do and see, from picnics on the promenade to fun and informative tours, including surfing, diving, cycling and walking. Walk to Shelley Beach where you can go snorkelling and swimming in Cabbage Tree Bay, then on to Fairy Bower Pool or surfing at Manly Beach. Come make new friends and enjoy some exciting kid's soccer, basketball, tug-of-war, giant Jenga, tennis matches, flying fox, fishing and more. All within close reach at Lyne Park with its great playground and views to match. Go in the draw to win family pass giveaways to attractions like Taronga Zoo, Madame Tussauds, Bridge Climb and a family meal at Pancakes at The Rocks. There will be a kid's lucky dip too! Learn to surf with a two hour professional lesson at Bondi Beach, Australia's most famous beach! An introductory lesson has been arranged for Mirror Worlds sailors at a special group booking rate. Bring your hat, sunblock and swimmers for an outing to one of the most popular coastal walks in Sydney, the Bondi to Bronte track. There are lots of vantage points along the way where you can rest up and soak in the amazing views and, if you’re lucky, you may even spot some whales and dolphins. Get ready for some stand-up paddle boarding! Form a team of three or make some new friends and join one of the teams with your fellow sailing mates. More details to be announced. A harbour ferry ride makes for a fantastic family trip out on the water during glorious Sydney summertime. A number of group outings will be organised for families to sign up and simply join in. Anyone peckish for some shrimp on the Barbie or a slice of lamington cake? We will be keeping everyone well fed and energised with fresh coffee and teas, cakes stalls and a sizzling BBQ on site, after every day of racing.